Thank you to everyone who contributed to our discussion on April 17! The conversation centered on how (and in what language) to provide students with feedback to support deeper learning. This topic generated a lively discussion, and we would like to extend a special thanks to our moderators: @SECottrell and @CoLeeSensei. In case you could not join the conversation on Twitter, have a look at the summary below. 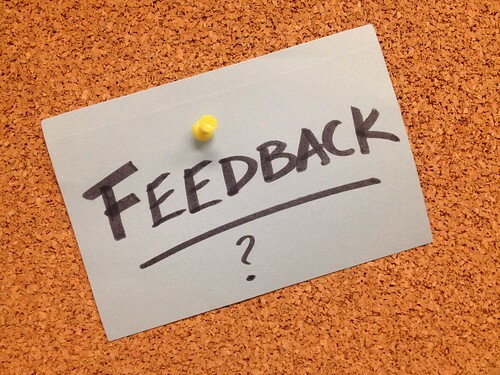 Feedback… in the Target Language (TL) or First Language (L1)? There are many ways to foster deeper learning through feedback. It is important to develop techniques that work well for you and your students. The #langchat discussion generated a number of suggestions, and we invite you to continue to share your thoughts in the comments section at the bottom of this post! Thank you so much to @SECottrell and @CoLeeSensei for moderating this rich discussion. Due to space limitations, many great comments had to be omitted from this summary. To view the entire conversation, you can access the full transcript on our tweet archive. If you have any comments or questions that you would like to share with the #langchat community, do not hesitate to do so. Send us your ideas for future #langchats so that our weekly discussions can become as relevant and inclusive as possible!